Our Clinics :Shop No.-11,Rajnigandha Complex, Sec-15A, opposite Club, Noida, (UP) 201301 | Shop No 203 - 204, Krishna Apra Plaza, Sector - 18, Noida, Near Metro Station Gate no. 2 | Ratra’s Dental Centre Shop No – 9, Supertech Mart, Sector -137 Noida. Most of tooth pain from gingivitis and periodontitis, dental caries (tooth decay) or fractured teeth and lead to the pulp (nerve teeth) caused by the infection. tooth decay (dental caries)Tooth fracture gum disease, Infected gums loose or broken filling dental abscess an exposed tooth root, Tooth Root Sensitivities. Ulceration of the soft tissues can sometimes be mistaken for toothache. There may be severe pain to pressure, or to hot or cold stimul. 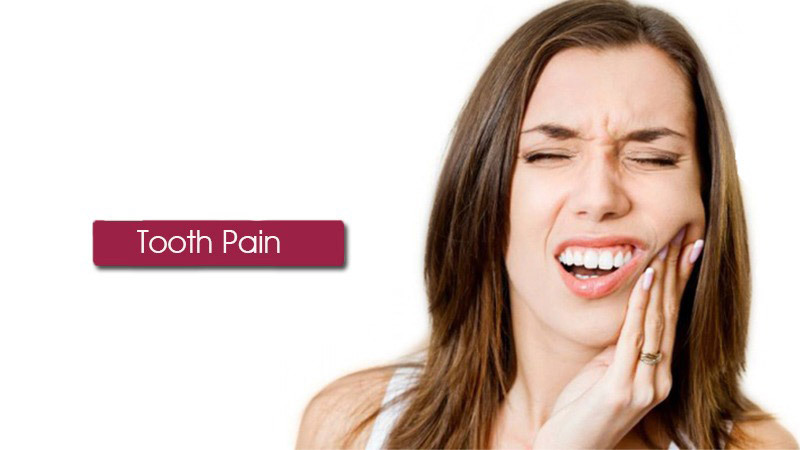 The pain can also get worse when you lie down because more pressure is put on the tooth. Pain with chewing, particularly if the food or drink is hot or cold.Hot or cold sensitivity swelling around the tooth, and swelling of the jaw. Avoid very cold or hot foods because this may make the pain worse. Treatment will depend on the underlying cause of the tooth pain.In most cases, dental or jaw pain can be cared for with pain medications and antibiotics. In some cases, the doctor may try an injection around the tooth for pain control. Fillings , pulling teeth, or other procedures may be performed as required. Fluoride gel and sensitivity toothpastes that contain fluoride will both help the root to become stronger and in turn reduce the toothache. Tooth decay is the destruction of tooth enamel by dental plaque that causes holes known as cavities. In most cases, a dentist treats cavities by using a dental drill to remove the decayed material before filling the remaining space with dental amalgam or composite resin. The obvious prevention for tooth decay is to eat as little sugar. Fluoridation and dental sealants can also help prevent decay. Brush your teeth at least twice a day with a fluoride-containing toothpaste. Preferably, brush after each meal and especially before going to bed. Gum disease, including gingivitis and periodontitis. Gum disease is usually preventable. Brush twice a day for at least 3 minutes each time and floss daily. Don't smoke! Cigarettes and chewing tobacco cause mouth irritation and are very unhealthy for gums and teeth. If the bone has been destroyed, your dentist may employ a new technique called tissue regeneration, which involves grafting the bone to offer a better chance of bone re-growth. Ratra Multispecialty & Cosmetic Dental Center (RMCDC) has fully-equipped clinics at several places in Noida. Convenient location, easy accessibility and best dental services are what driving people from South Delhi and other parts of Delhi NCR to our treatment center in Noida.